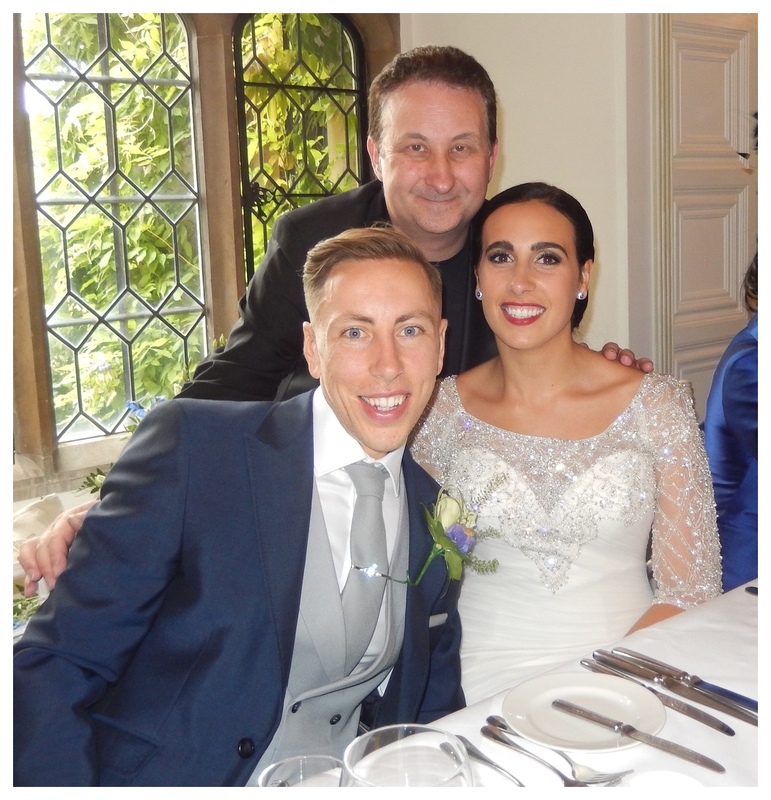 Professional magician available for weddings, parties and events in Cambridge, Huntingdon, Soham, Peterborough and Ely, One of Cambridgeshire’s top entertainers. 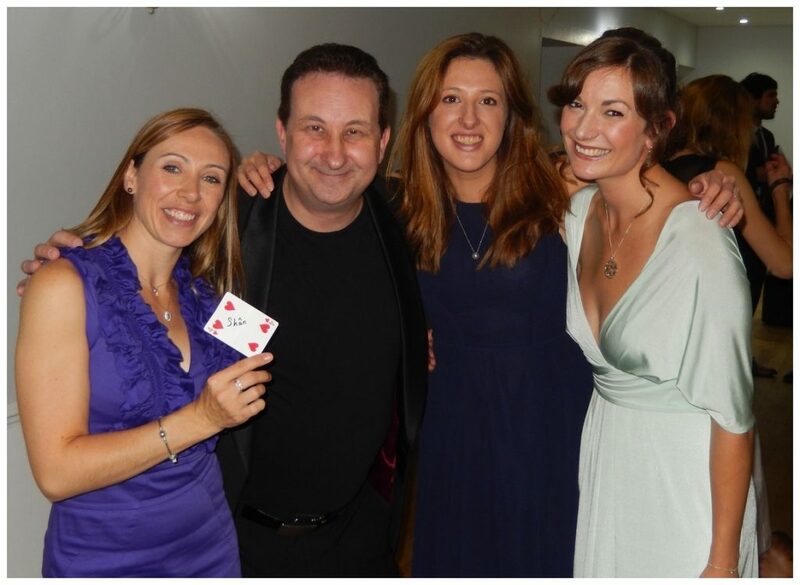 Sleight of hand magic with impact for your Cambridge wedding, birthday party or corporate event! A close up magician who’s magic is eye popping and captivating!  Enter Cambridge Conjurer Andy Field! He is a professional magician and illusionist! This trickster can host and entertain with sleight of hand magic and mind reading! Andy trying to impress the Bridesmaids with his sleight of hand. They were impressed – But only slightly! Your Cambridge wedding or birthday party event requires a strong impact! You want your guests to experience some incredible sleight of hand close up magic! You want your friends to tell everyone that your event was fantastic and how much they enjoyed attending! 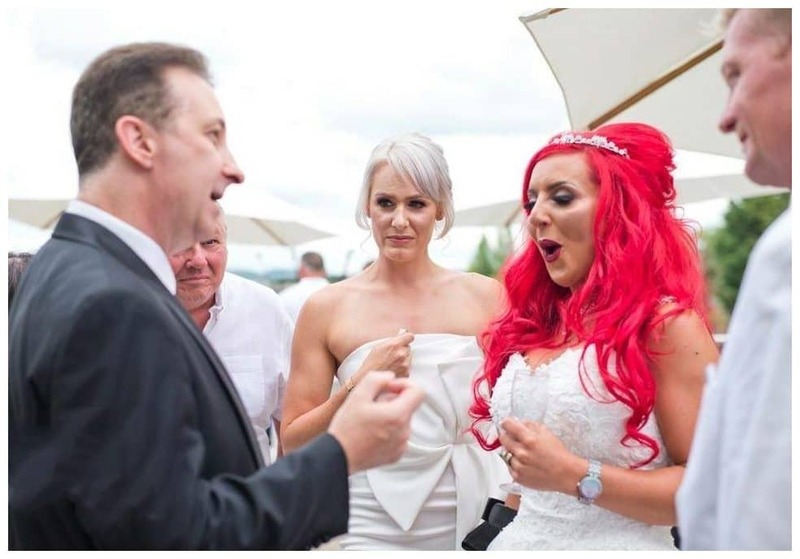 Magician Andy uses weddings and birthday party venues as his stage and your family and friends as his audience. He performs beautiful and captivating magic. This will assure that your wedding or party is unique and unforgettable! A solid playing card, which has been signed, is pushed right into a solid bottle. Close up magic that looks real! An event which is as principle as a wedding or birthday party requires an entertainer who is at a required standard of skill. Professional magician Andy has many years of experience he can pass over onto your event. Combined with his sharp sleight of hand dexterity and good-humoured personality, he can deliver the perfect act. His magic online has proved popular and has gained over five million views. At the same time his Facebook recommendations continue to grow. Andy’s principle duty will of course be to amaze and entertain. However, many Brides and Grooms like the idea that Andy’s magic is going to act as an ice breaker. Perfect when two family’s may not have meet for the first time! In addition his magic will induce and provoke strong positive reactions when witnessed. Which will create a radiant atmosphere. Give your Cambridge event some eye widening walk around magic! He can very easily entertain your guests keeping them happy and laughing. He is very flexible and so can therefore fit into any point of your wedding or party. For example during the wedding breakfast, room changes, food and drink receptions the photo call. Photographers like to follow Andy. This is because they are able to capture excellent pictures of your family and friends as they react to his magic! First, you hire Andy for your Cambridge event you are not just gaining a professional magician with very slick sleight of hand skills. Second you are also gaining an experienced, reliable, knowledgeable performer. Andy has first-rate people management skills. In other words, you will have peace of mind! Not the cheapest magician but he will definitely give you the best quote possible. Please fill out the enquiry form and you will receive a no obligation quote within twenty-four hours. 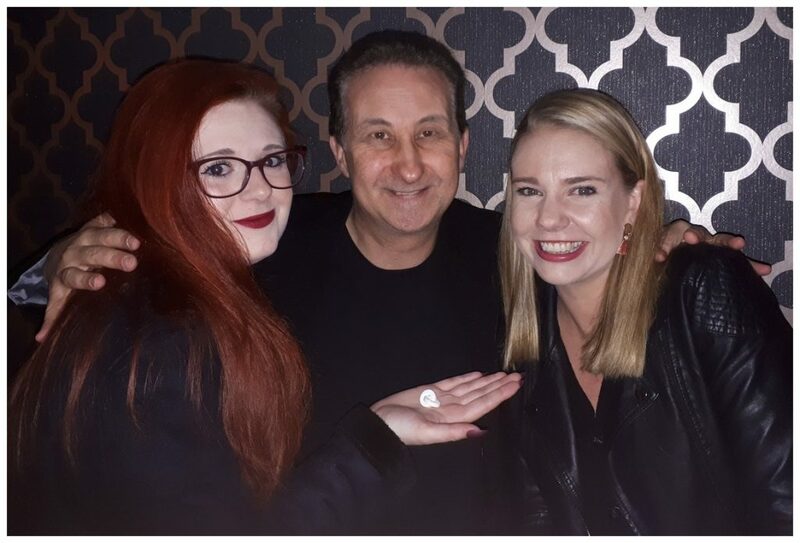 Two polo mints linked in the hands of two beautiful ladies – Spell bounding close up party magic! Strolling around magician Andy will perform close up magic right up close. This makes it both naturally addictive and mind-boggling! For example Andy will instruct ordinary everyday objects to obey his command. Items such as playing cards, money and even borrowed items will do as he tells them! Andy also designs and engineers many of his own close-up magical tricks. This gives anyone who has seen a magician before the extra surprise in witnessing something new and original. All the magical illusions that Andy performs at his Cambridge wedding and birthday parties are his favourites for one reason or another. Some tricks for their stunning and incredible magic others for their powerful entertainment values. If he had to pick one trick right now it would be his effect “Imagination”. A blank playing is gave to a lady to hold which she has signed. She then thinks of any card in the deck. When she opens her hand the once blank card has now changed into her thought of card which still bears her signature! 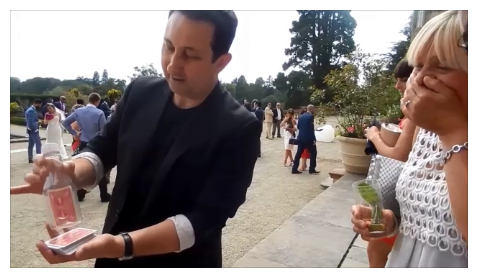 This one card trick alone has got magician Andy many bookings around Cambridge and Huntington. Talk business in a very friendly atmosphere. This will do your corporate event no harm what so ever! Let Andy the magician entertain your VIP guests during your drinks receptions. This will create an ultimate feel good party magic experience!